I paid a hefty reading tax (aka library fine) for the pleasure of reading Elizabeth Knox’s Mortal Fire in my own good time. And I’ll tell you – I don’t mind the fine, because the extra time allowed me to find a day when my mind was clear, my stress levels low, and my imagination ready for a fantastical mystery unlike any I’d read before. Mortal Fire is a brilliant book, and certainly one of the best I have read this year. Sixteen-year-old Canny Mochrie's parents go away on a vacation, so they send her off on a trip of her own with her step-brother Sholto and his opinionated girlfriend Susan, who are interviewing the survivors of a strange coal mine disaster and researching local folklore in 1959 Southland, New Zealand. Canny is left to herself to wander in a mysterious and enchanting nearby valley, occupied almost entirely by children who all have the last name Zarene and can perform a special type of magic that tells things how to be stronger and better than they already are. With the help of a seventeen-year-old boy who is held hostage in a hidden away house by a spell that is now more powerful than the people who first placed it, Canny figures out why she, too, can use this special magic that only Zarenes should know, and where she really came from. Canny Mochrie is one person, but she’s got more layers of identity than anyone else her age. She’s a mathematical genius, the daughter of two (separately) famous people, the loyal friend of polio-stricken Marli, and the sister of poetic Sholto, the descendant of a Shackle Islander. And aside from all of that, there’s her Extra, a sort of ‘sense’ that may mean something, or may be an imagining – simply one more thing setting her apart in a way that does not bode well for her future. When she’s sent away for the summer and ends up exploring a strangely serene valley, bits of her past begin to reveal themselves, and Canny’s mysterious Extra may hold the key to breaking a curse. When I finish a great book, I usually have some very definite thoughts about what made it so wonderful – well-written boxes ticked, favorite story tropes recreated, or a character I connected deeply with. 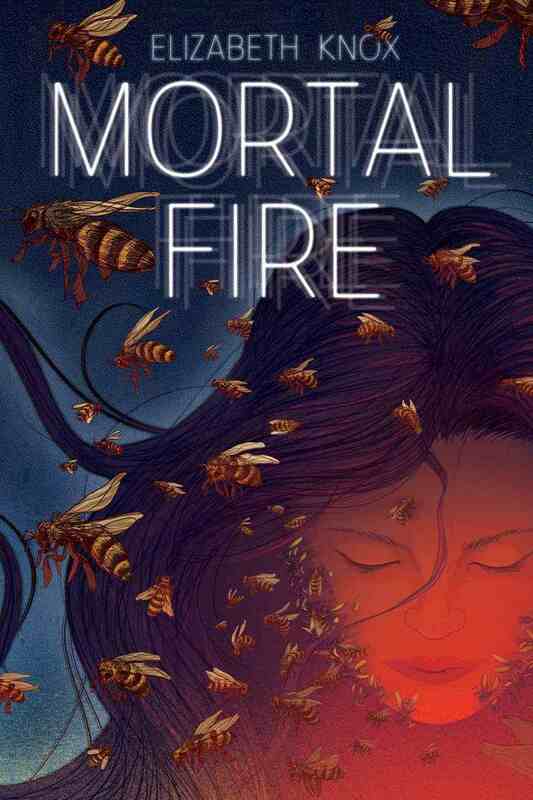 When I finished Mortal Fire, I felt as though I had finally stepped into the center of a maze, but I didn’t know why I felt so relieved and awed. I couldn’t see the inner workings of the story – I could only tell that I had lived in a fantastic world for the duration. The very mystery that made the story work, the history and the world-building – these are things I don’t want to spoil, so I won’t patter on any more about them. I will say that part of the richness of Knox’s writing is in describing Canny (and her experiences) superbly. Canny isn’t simply a preternaturally intelligent teenager – she has always been a loner, has missed or simply not cared to see social cues, and her logic and detachment necessarily distanced her from her peers. Canny’s summer away takes her from comfortable routine and ‘forces’ curiosity and observance. Now that I am several days removed from finishing Mortal Fire, I can identify Knox’s description of Canny’s puzzle-solving, exploration and pattern-finding as the ineffable thing that drew me into the magic of the story. It took waiting for a calm day, a different day, to find the mood that would let me into the story, but once there I was completely swept away. I don’t feel that all of the above tells you very much about the book. Let me try again. Mortal Fire is an onion of a story, and you must peel its layers in the proper order. It’s also a mystery wrapped in mysteries: some historical, some magical, some genetic. It is a story that centers on a beautiful, pristine valley, a mining disaster, language and math, and an extraordinary legacy. It deals with ethnic and family identity, and all of its tiny details add up to beauty. Recommended for: fans of fantasy (especially nuanced, multicultural fantasy), those who enjoy intricately-layered mysteries, and anyone swayed by the beautiful cover art – the book lives up to it! Fine print: I received permission to view an e-ARC from NetGalley, but didn’t start the book in time to take advantage of that. The review refers to the final text, obtained from the local library. Huh, I'd heard bad things about this one and avoided it. I'll have to check it out from the library and give it a chance. vicious by v.e. schwab - blog tour giveaway!